You’ve just been charged with possession of marijuana. The first thing you did was get on your phone or a computer to figure out what to do now. And what you have found so far just has you confused and worried. The information you are reading is all over the map, most of it trying to scare you with the worst possible consequences. Here you will find a definitive guide to your Virginia marijuana possession charge, written by experienced criminal defense lawyers who have handled hundreds of cases and taught classes for other attorneys about how to handle drug possession cases. Just because you are charged with possessing marijuana doesn’t mean that you will be found guilty of it. The government must prove all of the elements of your charge. That means proving that you “knowingly or intentionally” possessed a substance and proving that the substance was actually marijuana. So how do they prove that? First, let’s discuss possession. 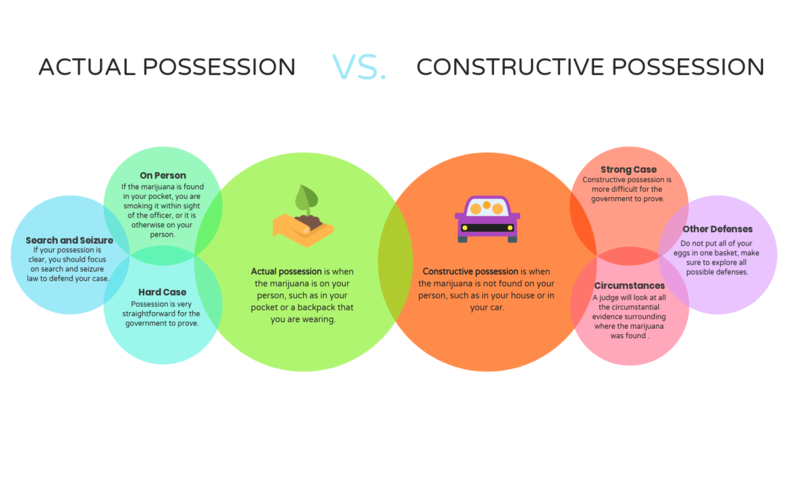 While possession seems like a straight forward, common sense concept, it is important to start with an understanding of the legal definition. To legally be in possession of marijuana, you must (1) be aware of the presence and nature of the marijuana and (2) exercise dominion and control over it. The marijuana could be on your person, in your house, or in your car. What is important is that you know what it is, where it is, and that you had control over it. This remains true even if you neither bought nor intended to use the marijuana, but merely tolerated its presence. There are two very common misconceptions about possession. The first is that you must be the owner of the marijuana to be in possession. This is not the case. If three people are sharing a joint of marijuana, they are all simultaneously in possession of it. It does not matter which of the three actually purchased or owns the marijuana. The second common misconception is that if the police discover the marijuana in your car or in your home that you are automatically in possession of it. When the police find marijuana and it is not on your physical person, the government must prove that you constructively possessed the marijuana. It is actually written into the law that the presence of the marijuana in your car or in your home will not raise a presumption that you are in possession of it. Rather, they must use the circumstances discovered in the investigation to prove you possessed it. The important point here is that in every case, no matter where the marijuana in found, the government must prove beyond a reasonable doubt that you were aware of the marijuana, knew what it was, and that you exercised control over it. If the government fails to prove one of those elements, then you are not legally in possession of marijuana. In addition proving possession, the government must also prove that what you had was actually marijuana. This is generally proven through a field test performed by the police officer on the scene. These field tests are a presumptive test for the presence of THC. Generally, a field test is not considered reliable enough to be admitted in court for a serious prosecution, such as felony drug charges. However, Virginia law gives law enforcement an exception and allows them to testify about field test results in simple possession of marijuana cases.The officer can just tell the judge what he did to perform the field test and then what result he got. They don’t even have to keep the field test to introduce in court, and often the police testify that they tossed it in the trash after running the test. Of course there are more accurate tests than the marijuana field test. The substance can be sent to a laboratory for a full analysis, including accurate weighing. In Virginia, the police and Department of Forensic Science have a policy of not testing substances for a simple possession of marijuana charge unless a judge orders the testing. Fortunately, defendants have a right to request a lab test, instead of allowing the police to use a field test against them in court. The request must be made in writing through the clerk’s office at the court. When you are charged with marijuana in Virginia, the police are required to give you notice in writing that you have the right to request the lab test. 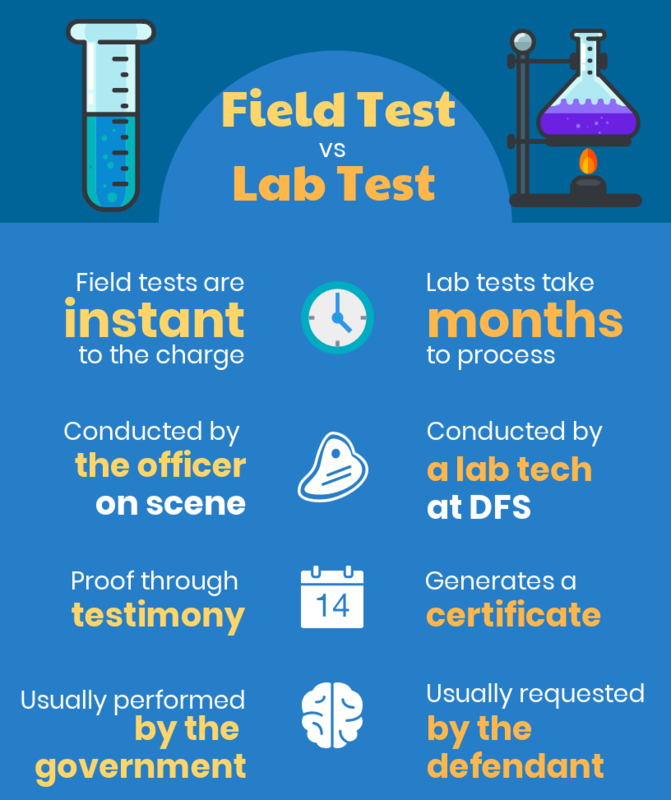 If they fail to notify you of this right, you may be able to prevent the officer from testifying about the field test in court. If you were recently charged with marijuana, your first court date is probably a few weeks away. It can be tempting to just put the ticket away and worry about it in a month or two, but there are actually steps you can take right now to help your case. First, write down everything you remember about your interaction with the police. Go back to the scene and take some pictures. Sometimes it even helps to draw a diagram. Get as many details as possible down on paper. You never know what little detail may be important to your case months from now. Second, talk to an attorney familiar with the county where you were charged. Only an experienced attorney can give you a good idea of whether you have strong defenses if you go to trial. An attorney who knows the court and prosecutors can also give you advice on what to do before court to help you negotiate the best outcome if you don’t go to trial. If you really want to do everything you can to get a good result in your case, you can put in some time and effort before the court date to make that happen. Prosecutors like to see that you are taking the charge seriously, so you can show them that by doing some things before court. First, community service hours can help. Below I talk more about the first offender marijuana program in Virginia, including the requirements, benefits, and drawbacks. Defendants who enter into the first offender program, or “251” disposition, are ordered to do community service hours as part of the program. You can come to the first court date with your hours already done if you’re hoping to avoid some of the other consequences of officially enrolling in the program. You should aim for at least 25 hours of community service, but more would be even better. Another way to prove to the court and prosecutor that you’re taking your charge seriously is to submit to voluntary drug testing a few times before court. You can show that you’re staying clean and have stopped breaking the marijuana laws of Virginia. In some cases, you can also get a substance abuse evaluation done through your health insurance or even a campus health center for college students. This brief evaluation will document that you don’t have a substance abuse addiction which would require some kind of treatment. Then the prosecutor knows that you will be able to refrain from using marijuana in the future and are not likely to get another charge. The reason to do these things before court is that you always want to give yourself the option to negotiate. Even if you and your lawyer think you have defenses to your charge, there is always some risk involved in going to trial. 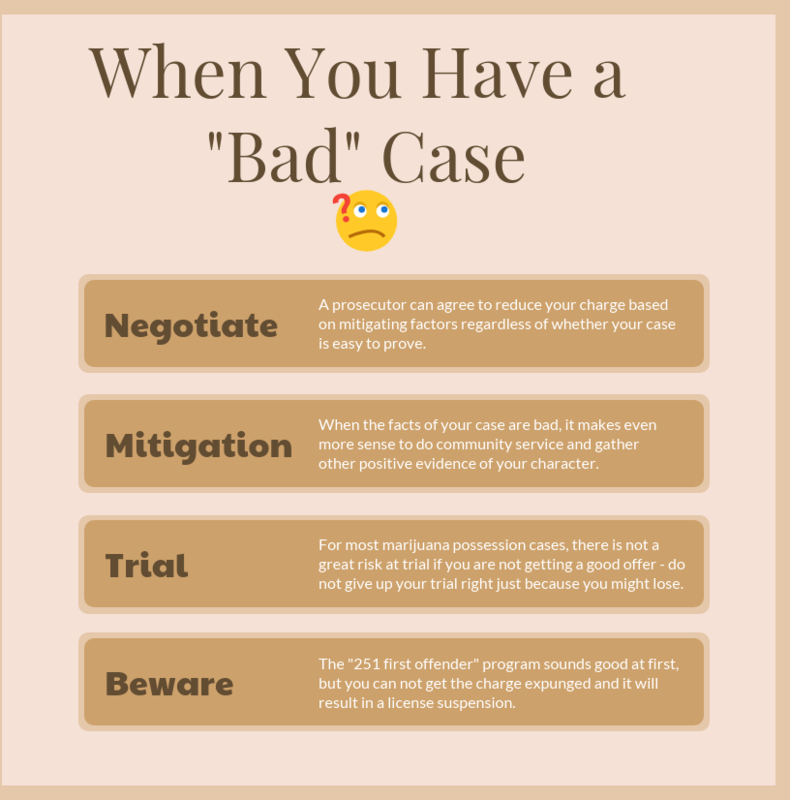 If you go into the court date with a lot of mitigation, or good factors about you, the prosecutor may give you an offer so good that it doesn’t make sense to go to trial. Our attorneys walk into every case prepared to fight and make the best possible arguments at trial, but sometimes the best results for clients are actually the product of negotiations with the prosecutor. One of the most common defenses to possession of marijuana is that you were not aware of the presence and character of the drug. If the marijuana was found in a car, home, or in any other situation where it was not physically on your person, the government must prove that you were in constructive possession of the marijuana. If the government must prove constructive possession, you can argue that the circumstantial evidence does not prove that you knew about the marijuana. For example, if someone else was in your car, or you had people over to your house, you can argue that someone else must have left it where the officer found it. Similarly, if the marijuana was not found amongst your personal belongings this would tend to weigh against a finding that you were in possession. On the other hand, if the marijuana was found in a bag with your wallet or other personal items, this will tend to show that you knew about the marijuana and that it was in your possession. In constructive possession cases, it is usually helpful for you to testify, especially if the evidence is not clear cut. While your silence cannot legally be held against you, most constructive possession cases are a close call, and your testimony could be crucial. 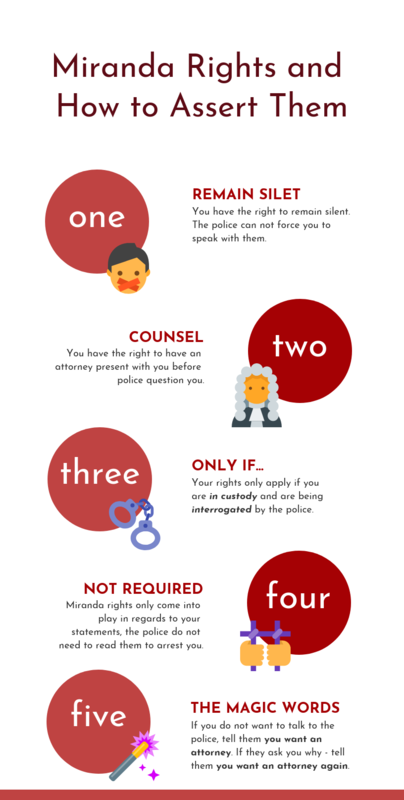 There is a lot of confusion in the general public about Miranda rights. Probably as a result of the prevalence of Miranda rights in detective shows and action movies, there is a misconception that you will always be ‘read your rights’ when you get charged with a crime. In fact, Miranda rights only come into play when the government is trying to introduce your statements against you. This often comes into play in possession of marijuana cases where a defendant admits to the police officer that he knew about the marijuana or that it was his. When the government is trying to use one of your statements against you, you can try to have that statement barred from being used against you in court by arguing that the police officer violated your Miranda rights. For Miranda to apply, you must have been ‘in custody’ and ‘interrogated’ by the police officer. In custody does not necessarily mean that you are arrested, but your freedom does have to be deprived to a degree similar to an arrest. Interrogation requires that the police officer is asking you questions that are likely to elicit an incriminating response. It does not have to be in an interrogation room, it could be during any interaction with law enforcement. If both of those conditions are met, and you were not read your Miranda rights, a judge must exclude your statements from trial. Keep in mind this is only helpful if you made damaging statements to the police officer. If you did not make any incriminating statements to the police during the course of your arrest, the issue of whether or not you were read your Miranda rights will not be an issue. One of the most common defenses to a possession of marijuana case in Virginia is to challenge your stop, arrest or search on constitutional search and seizure grounds. The 4th Amendment protects you against unreasonable search and seizure. If a judge finds that the search or seizure in your case violated the 4th Amendment, all of the evidence obtained as a result will be excluded from trial. For practical purposes, this means that if a judge decides that the police violated the 4th amendment, your case will be dismissed. There are two different levels of proof necessary for a police officer to search or seize you. The first, lower standard, applies to what is commonly called a ‘Terry stop,’ named for the Supreme Court case that established the rule. A ‘Terry stop’ only requires that the police officer has a ‘reasonable suspicion’ that criminal activity is afoot. It is the standard applied to a stop of your vehicle or to a minor impediment of your freedom, such a quick pat down of your person. The second, higher stand, applies to a full blown search or arrest. This would include a search of your car, person, or home. For a police officer to conduct a full blown search or arrest, they must have ‘probable cause’ to support to search or seizure based on the totality of the circumstances. There is a wealth of case law in regards to 4th amendment search and seizure issues in Virginia - far too much to elaborate on here. If you think that the police did not have a reason to stop, search, or arrest you, you should consult with an experience criminal defense attorney and explain your situation. Not every case is a winner. With that said, you should not give up hope just because you can not identify any solid legal defenses to your possession of marijuana charge. There are often ways that you can mitigate the damages from the charge by presenting mitigating evidence to a judge or prosecutor. In most jurisdictions, a prosecutor will be a assigned to your case. A prosecutor is in a unique position to look at all the facts surrounding your charge and your personal character to make a decision about whether to reduce or dismiss your marijuana possession charge. While a judge is tasked with looking at the narrow set of facts in your case and deciding whether or not you are guilty of marijuana possession, the prosecutor can consider other aspects when negotiating a plea agreement with you. For example, you could help to persuade a prosecutor to offer you a favorable disposition with letters of reference from an employer, school transcripts, proof of community service, or other extenuating life circumstances. It is well within a prosecutor’s role to look at everything - the facts of your case as well as who you are as a person and what you have done before court to mitigate your culpability. Another important point to keep in mind is that in many marijuana possession cases, your worst case scenario will be entry into a deferred disposition program or a fine - even if you go to trial and lose. Because most marijuana possession cases do not carry a realistic risk of jail time or some other more severe punishment, there is no reason to accept a plea agreement unless the prosecutor is offering you something better than what you would get if you were to go to trial and lose. If the prosecutor is not offering you something that is to your benefit - do not plead guilty. You can think of this as ‘kicking the football down the field.’ Only good things can come from pushing your case forward if you are not getting an offer worth taking. If you have never been convicted or had a deferred disposition for a drug crime, you will be eligible to participate in the first offender program pursuant to Virginia Code 18.2-251. 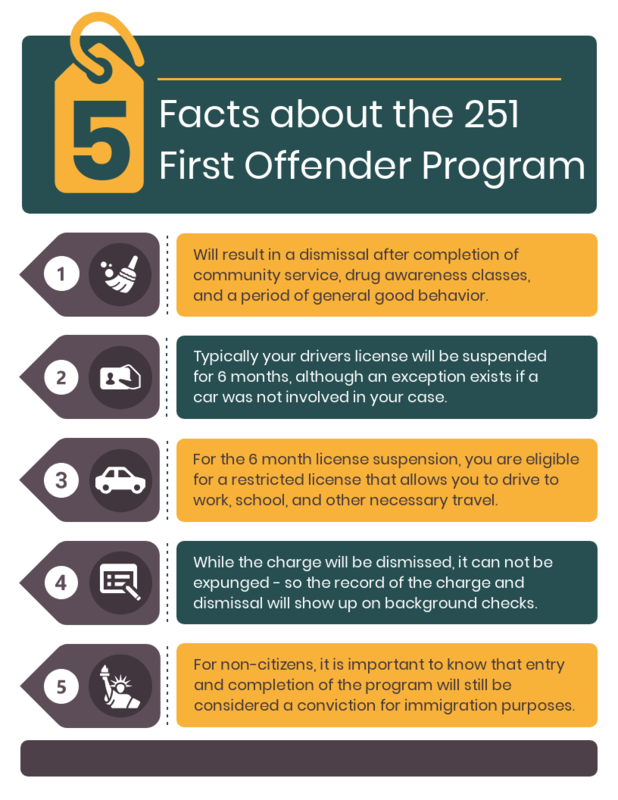 The first offender program requires that you participate in a educational and possibly drug treatment program, complete community service, and in the courts discretion have your license to drive suspended for 6 months. If you successfully complete the drug education, treatment and community service, you will return to court and the charge against you will be dismissed. There is huge caveat here. Although the possession of marijuana charge will be dismissed, you can not have the record expunged. This means that your criminal history will show that you were charged with possession of marijuana and entered the 251 deferred disposition program. While this is certainly better than a conviction, you will still need to explain the charge to future employers or if you applying for graduate school or a professional license, as a record of the charge will remain in your criminal history. In addition, if you are a non citizen, immigration will consider your participation in the first offender program a conviction, even if the charge is ultimately dismissed. For these reasons, we typically advise clients to enter the 251 program only as a last resort. Unless you plan to plead guilty and get sentenced directly by a judge, or want to go to court alone and enter the first offender program, you should have an attorney experienced with drug possession charges to represent you in your case. Once you make the decision to hire an attorney, you will quickly realize that there a plethora of criminal defense attorneys marketing themselves to you, and they all seem to look the same. While some of your decision will boil down to who you feel the most comfortable talking and working with after an initial consultation, there are some steps you general guidelines you can use to make sure you retain the right attorney for your case. Look at reviews online. Specifically, you should look at AVVO, google, and yelp reviews. 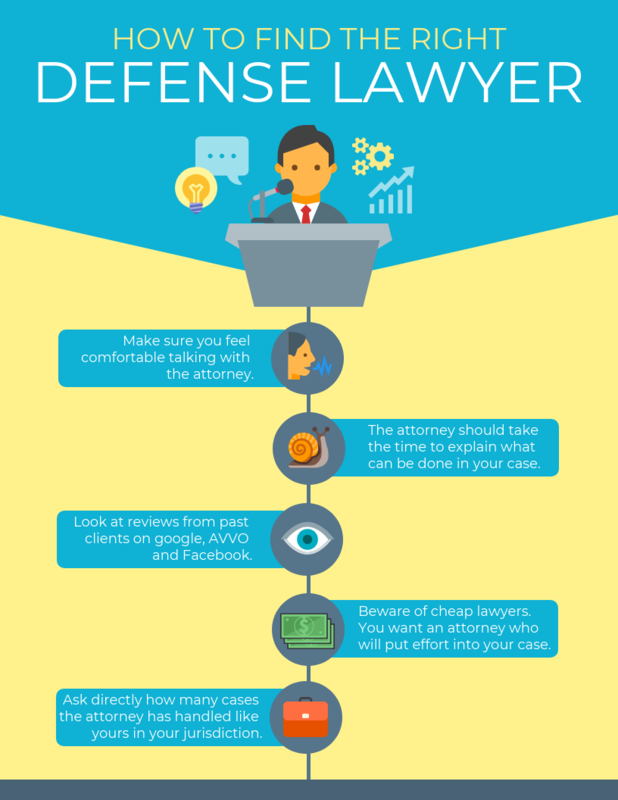 Google and Yelp reviews will typically be geared toward the law firm in general, whereas AVVO will include reviews for one specific attorney. Read reviews carefully and thoroughly. Just because an attorney has 100 reviews does not mean they would all be relevant to your case. When you talk with an attorney, ask directly how many possession of marijuana cases the attorney has handled in the jurisdiction where you have been charged. If an attorney has only handle a few cases or is unwilling to give you a direct answer, steer clear. You should ask this question firmly and directly, as there is no way for a lawyer to overstate specific experience like this. And that experience is incredibly important. You do not want to hire an attorney who does not regularly handle drug possession cases in the court where you are charged. Think of it this way - all attorneys are working by the hour. They are ultimately service employees, and will be charging you for their time. If an attorney is under charging you, it is for one of two reasons. First, the lawyer does not value their time, usually because they are inexperienced. Second, because they will not spend an adequate amount of time on your case. The last place you want to find yourself is in court with a lawyer who wants to spend as little time as possible on your case because they did not charge an adequate fee to represent you. That is how you find yourself getting talked into a bad plea deal. I would almost always suggest hiring a lawyer within a few weeks of your charge. This varies jurisdiction by jurisdiction. For example, in Arlington County and Alexandria City, a defense attorney will have access to open file discovery from the prosecutor's office, and must file an constitutional motions in advance of your trial date. 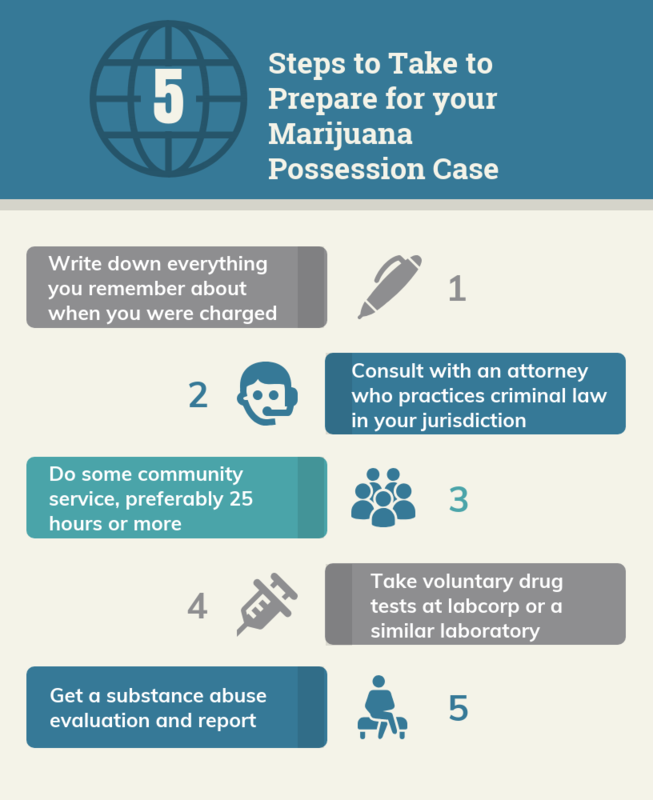 Under those circumstances, you want to hire an attorney well in advance of your case as your lawyer will need more time to prepare your possession of marijuana case. For other jurisdictions, like Fairfax County, your lawyer will not have access to any information until the day of court, so you can get away with hiring the lawyer closer to your court date. However, the earlier you hire a lawyer, the better prepared you and the lawyer will be for your case and the higher chance you will have of obtaining a favorable resolution. It is important to note that possession of marijuana will have more serious consequences for non citizens. If you are an immigrant, whether in the US on a student visa, green card, or undocumented, you need to take a possession of marijuana charge far more seriously than someone who has US citizenship. While many states are legalizing marijuana and it is increasingly culturally accepted, the federal government still classifies marijuana has a schedule I substance. It should come as no surprise then, that federal immigration laws view possession of marijuana as a ‘drug crime’ that will make an immigrant both inadmissible and removable. There is an exception for one conviction for possession of marijuana that is less than 30 grams, however you should still try to avoid a conviction that fits that exception. It will weigh against an immigrant for discretionary purposes, and in some circumstances will cause serious problems regardless of the quantity involved. Of particular important to immigrants charged with possession of marijuana in Virginia is the fact that entry into and successful completion of a deferred disposition program will still be considered a conviction for immigration purposes. Even if the charge is ultimately dismissed, if you admitted that there were facts sufficient to find you guilty, the charge will be seen in the eyes of immigration as if you were actually found guilty. The bottom line is that as an immigrant, you should avoid the first offender 251 program at all costs. If you are an immigrant, your best course of action is to have the charge either dismissed or amended to an offense that does not have the same damaging consequences for your immigration status. As far as an amendment, you should avoid any sort of drug crime, including possession of drug paraphernalia. A favorable amendment would be to a charge such as trespassing or disorderly conduct. A conviction for one of these offenses will not have the same consequences for immigration, and would be preferable even to a dismissal under the first offender 251 program. That means the government is removing any chance of you going to jail for your charge. That is a huge relief for most people. However, it also means that you are not eligible for a public defender, because there’s no chance that you will go to jail. So if you think you have legal arguments, or your constitutional rights were violated by the police, you will have to hire your own lawyer or try to conduct your trial by yourself. Remember, even if they waive jail, you can still be found guilty and have a misdemeanor conviction on your record. And in Virginia, convictions can never be expunged. The idea behind the program is that first offenders can spend a few months on a type of probation, and if they do well they won’t be found guilty of marijuana possession. It sounds like a great option, and sometimes it is, but there are some things you should know about the program before you agree to participate. First, you have to admit that you are guilty, or that the government has sufficient facts to prove you guilty, before you can enroll. This could have consequences, particularly for immigration cases, which I discuss more below. Second, you will have to attend classes, probation appointments, random drug tests, and spend 6 months with a suspended or restricted driver’s license. The program is fairly intensive, and can be hard to complete if you don’t live locally or don’t have much free time due to work or school. 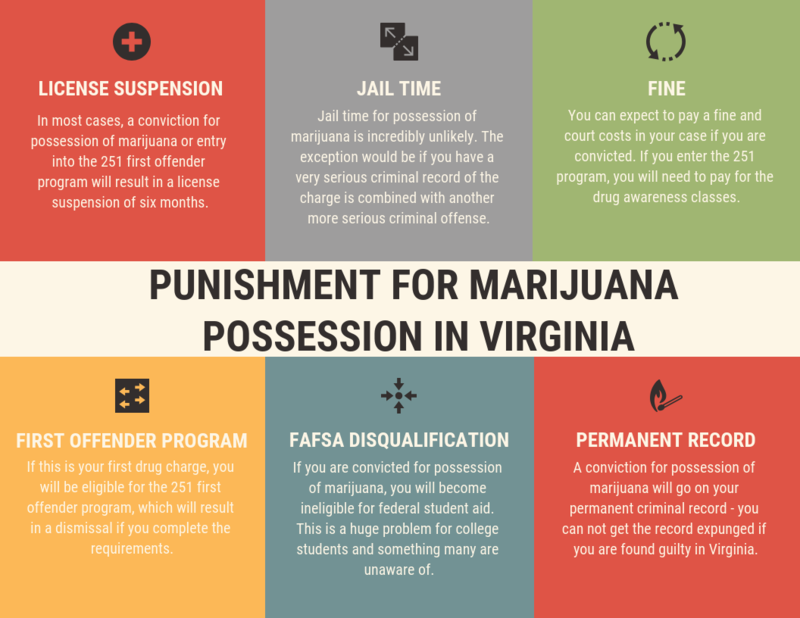 Finally, even if you successfully complete the program, you can never have the charge expunged from your record.F Virginia is one of the most strict states for expungements and you cannot expunge a marijuana charge after the 251 program. If you are convicted for possession of marijuana, or if you enter the first offender program, your license will be suspended for six months. You are eligible for a restricted license during that time that will allow you to drive to school, work, medical, and other necessary travel. If you drive outside of those restrictions, you will face more criminal charges. There is an exception for possession of marijuana cases where a vehicle was not involved, such as if you were charged with possession in your home. In that case, it is in the courts discretion to forgo the license suspension altogether. If are you are convicted for possession of marijuana, you will be ineligible for federal student aid. This a primary concern for many college students, and is something that many are not aware of. If you are receiving student aid or plan to in the near future, it is of the utmost importance that you take your possession of marijuana case seriously and do whatever is necessary to obtain a result that will not jeopardize your student aid. Will I have to testify about what happened? Typically no, although in some cases you should testify. You can not be forced to testify in a criminal proceeding, you have the right to remain silent. That being said, if your defense to the charge was that the marijuana was found in your car or home, it is not yours, and you did not know it was there, you will be much more likely to win your case if you testify. How can I possess marijuana that someone else owns? 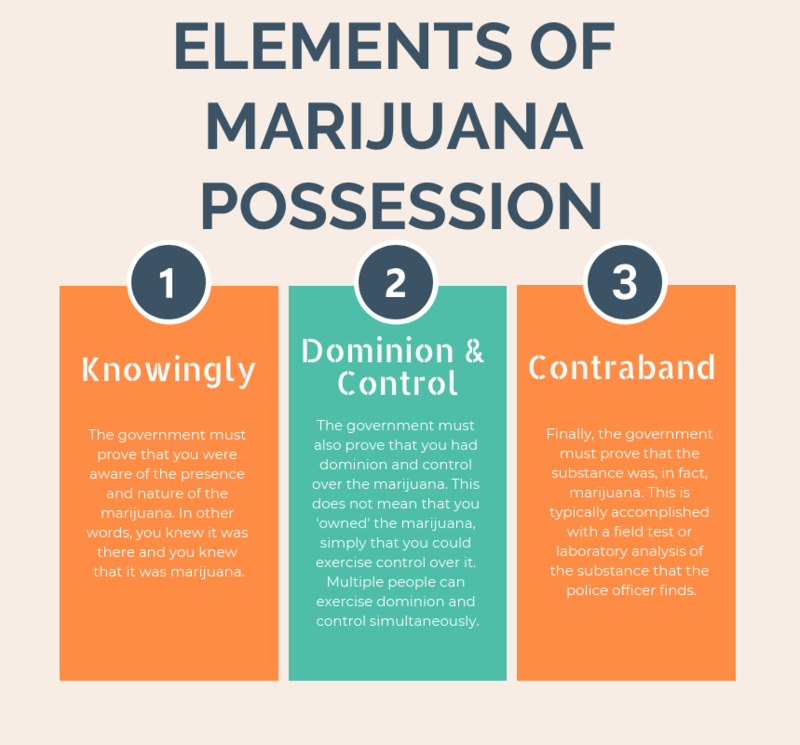 Regardless of whether you ‘own’ marijuana that was found by police, you can be in possession of it if you are aware of its presence and character and exercise dominion and control over the marijuana. The classic example would be a situation where a group of 4 people are caught by police smoking a joint together. It doesn't matter who’s marijuana it is - all 4 people could be found guilty of possession of marijuana. Only under very rare circumstances will you get active jail time for possession of marijuana in Virginia. If you have many prior offenses, a serious criminal history, or have other related charges, you should start to get concerned about jail time. If this is your first offense and it is a personal use amount of marijuana, active jail time is not likely in Virginia for possession of marijuana. Can I get this expunged? If you are convicted of possession of marijuana or you enter and complete the first offender program, you can not have the record expunged. Virginia law only allows you to get an expungement if you were found not guilty or the charge was otherwise dismissed. Dismissal as a result of a deferred disposition program is specifically excluded from the type of dispositions that can be expunged in Virginia. If, however, you are found not guilty or the prosecutor agrees to dismiss the charge against you, you can have the record expunged. Will I get a public defender? You are entitled to a court appointed lawyer if you meet to requirements. First, you must qualify financially. Second, the government must be seeking active jail time in your case. Because the government usually is not seeking active jail time, in most possession of marijuana cases, you will not be entitled to a public defender, even if you meet the financial requirements. So that is our guide for possession of marijuana in Virginia. Let us know by contacting us at the email or contact form below.